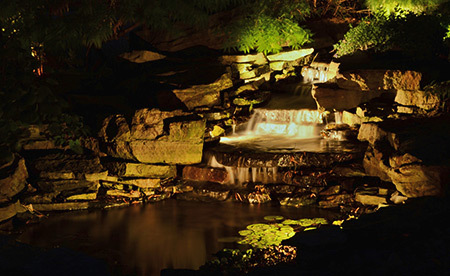 We’re specialists in residential and commercial low-voltage landscape lighting. Our central location, in the middle of Ohio’s North Coast, makes it convenient to serve areas from Toledo to the western suburbs of Cleveland. Don’t let darkness hide the beauty of your home and landscape. 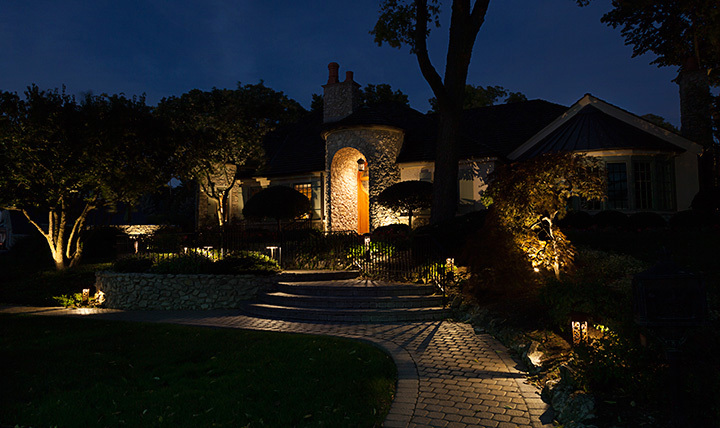 Instead, reveal a nighttime scene with subtle and elegant low-voltage outdoor lighting from Starry Night. For commercial properties, we can create mood or dramatic effects and reduce power consumption compared to 110-volt lighting. 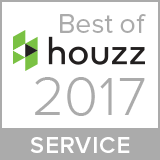 By highlighting landscape trees, shrubs, and flowers; water features and garden sculptures; and architectural features of your home. 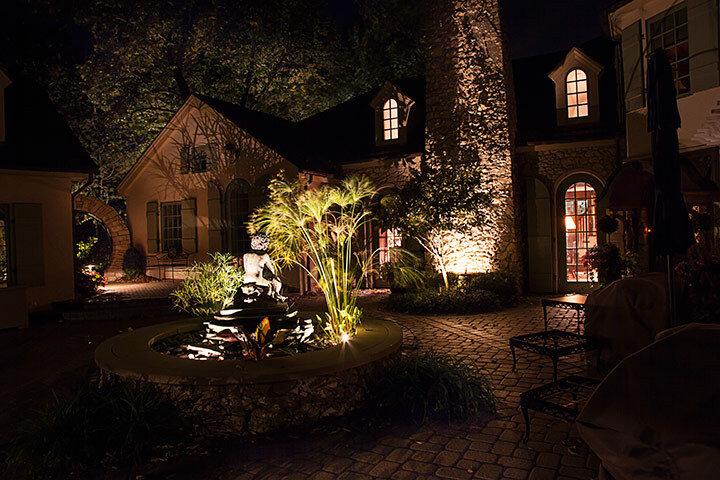 Walkways, garden paths, steps, and other grade changes can be lighted for the safe movement of your guests. Light is a primary deterrent to possible intruders. Lower-level light allows your eyes to adjust more easily to security issues than the high contrast between the very bright and very dark areas.